The start of the year of 2015 brings forth the addition of two new drugs for Parkinson’s disease. 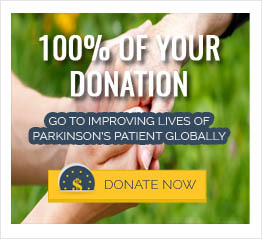 Last week RytaryTM, an extended release formulation of carbidopa/levodopa for the treatment of Parkinson’s disease, was approved by the United States Food and Drug Administration (FDA). “The duration of the effect of Levodopa/Carbidopa becomes much shorter as Parkinson’s disease advances, leading to the “wearing off” periods. This requires more frequent dosing of levodopa/carbidopa to improve the symptoms of Parkinson’s disease” says Parkinson’s expert Dr .A.Q. Rana. RytaryTM, may start its action quickly, maintain blood levels of levodopa/carbidopa smoother for longer periods reducing the “off time”. Last week DUOPATM, a gel formulation of levodopa/carbidopa, which is delivered directly to the small intestine through a tube, was approved by the United States Food and Drug Administration (FDA). DUOPATM is used for the treatment of motor fluctuations in advanced Parkinson’s disease. This drug has improved absorption and reduced off-times. . DUOPATM is delivered for 16 hours every day by a pump to the small intestine avoiding the gastrointestinal issues delaying the absorption of this medication. DUOPA™ is currently available in more than 40 countries. Dr.Rana says” approval of this drug is a great news and especially important for patients who are not candidates for deep brain stimulation surgery”.